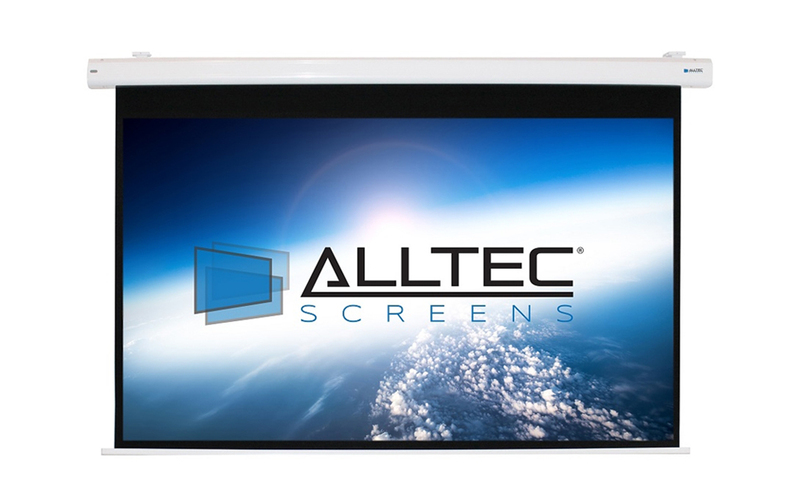 The Alltec Screens Electric (Motorized) Projector Screen is the perfect choice for today’s High Definition Home Theater Systems, Conference Rooms and Classrooms. Ideal for applications which require a wall or ceiling mounted installation, with simple plug and play operation, right out of the box. 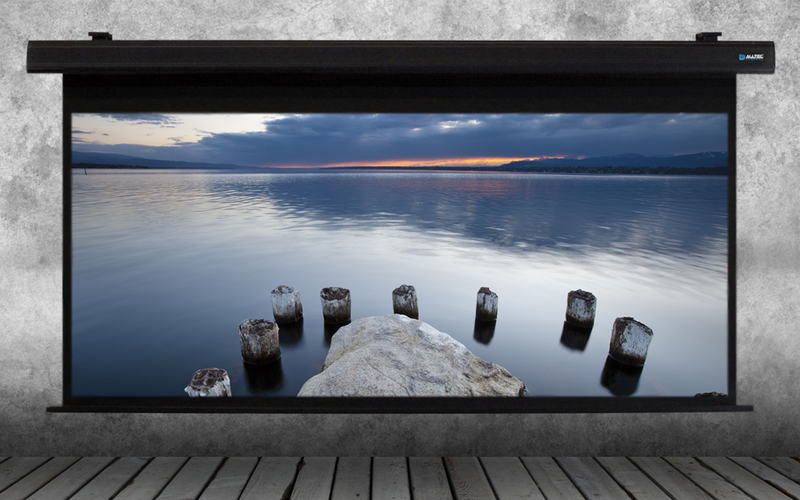 Developed from years of experience, the Alltec Electric Projector Screen will exceed all your visual expectations. The motorized operation of the Alltec Electric Projector Screen provides our customers with a sleek, modern and flexible projection solution that doesn’t hinder the usability of a room. Made with a durable Aluminum casing and roller, the attractive white or black powder coated exterior blends into any decor. 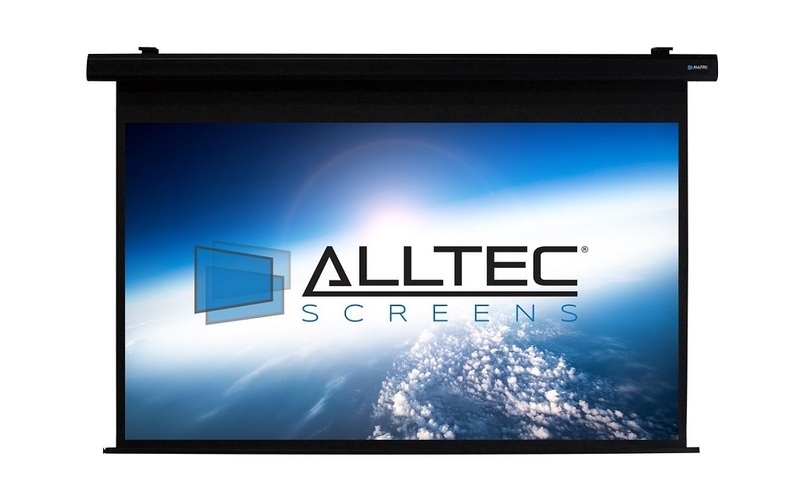 The Alltec Electric Projector Screen features a high quality tubular motor for extended product life and energy efficiency, allowing for quick reliable operation. A welcome upgrade in comparison to many similar electric screens, which feature smaller and slower synchronous motors. A simple plug and play operation, via 3-prong power connection adds to the ease of use. 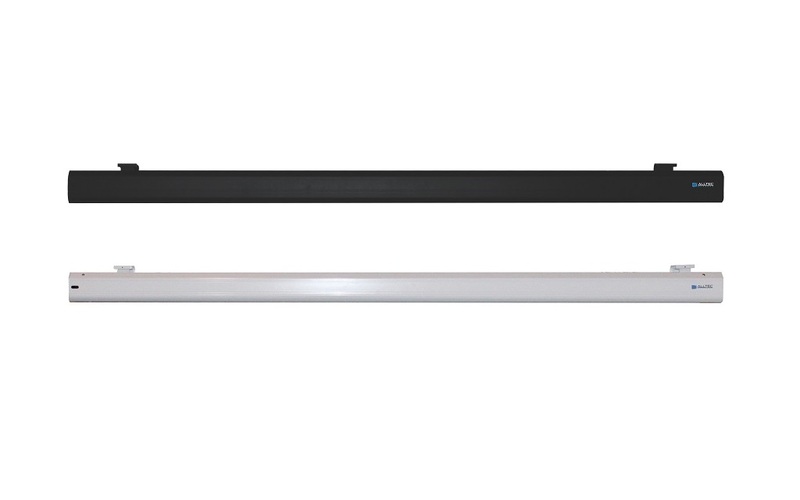 Floating installation brackets effortlessly slide down the casing to provide for easier installation. 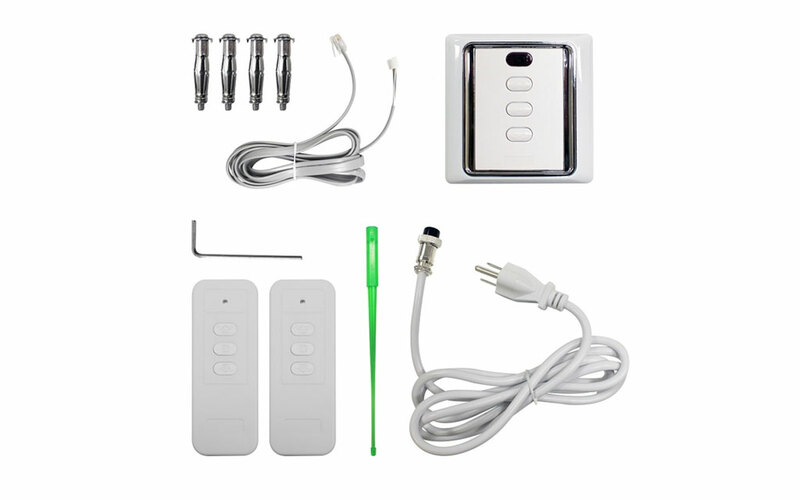 Also, a removable wall switch has been added for a more aesthetically pleasing installation, if desired. 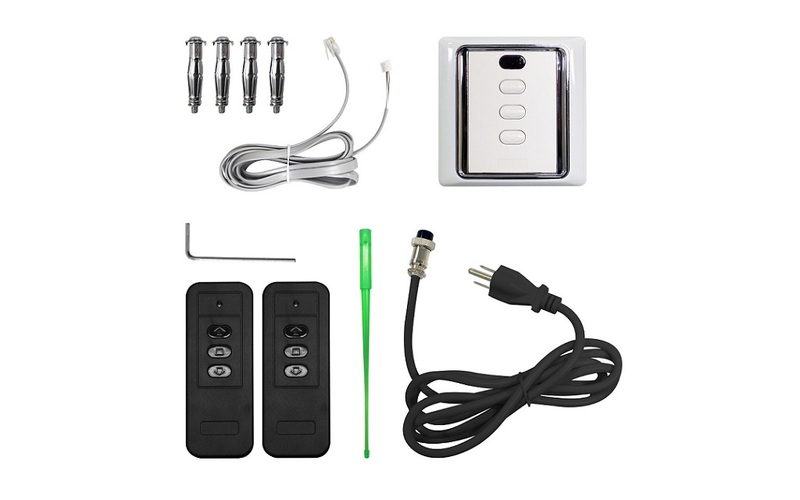 A high quality IR(Infrared) Remote Control is also included, so that you can easily control the screens operation from anywhere in the room.